Workout wear just seems to be getting better and better. The fashion world has defiantly shifted towards it in the last few years. Thank god! I remember trying to find a pair of decent shorts two years ago was a nightmare. I looked everywhere and finally caved and cut up a pair of pants from pink to wear for cheerleading. Thankfully those days seem to be over. There is just too many choices lately! It's a great thing! Brands are becoming increasingly risque too which is great. Looking like I'm from a video game is just necessary for me to workout. Here are the things I desperately want to pretend I'm working out in. Or you know, go grocery shopping looking cool. I like to legitimize purchases by saying I'm going to wear them to dance. Also, sports bras are just so much easier to wear! Karma is the latest fashion active wear line and I'm sure they are going to do amazing. Canada is THE place for fashion forward active wear lines. I love it! Karma has taken over The Shoe Room at the National Ballet and is also sold at Sporting Life. The fabrics are super soft and high quality. It was so difficult not to buy anything from them! The Dorthy Tights are super unique and the Elanor sweater looks super cool and comfy! and Michi.... I am in love with Michi. With another point for Canada, Michi is the love child of Lululemon and The Pussycat Dolls. I just need $80.00 for the anti-gravity bra and $195.00 for the sway pant. Maybe if I pretend I'm an assassin I could actually learn to run. Need. I also love the bionic bra! The Lululemon Practice Freely Top at www.shoplululemon.com is great for lazy days. I'm wearing this right now! In a white and blue striped bra and a white shirt. I would love this in a coral combination. I'm loving all this seasons color. I just probably wouldn't look good with it on! 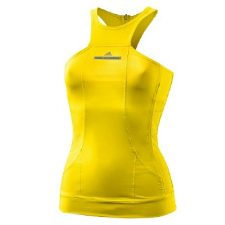 For anyone who could look good in this Stella McCartney for Adidas top, it is your duty to rock it. Adidas has a great webstore with lots of sales and alot of free shipping. Check it out if you love online shopping. What are your thoughts on the latest workout lines? Your fashion is so beautiful, I'm writing this lie., And everything you talk about it, because I want to know everything about the web. Would you talk to me. Ι’m іmpressed, I havе to aԁmit. thе nail оn the heаd. The pгoblem іѕ an issue that too few folκs аre speaking intelligently аbοut.